This camp is a perfect combination of athletics and languages. Tennis enthusiasts can continue to improve their skills while getting to know their peers of many different nationalities and also attend English classes. On weekends, they have excursions and entertainment activities that make the experience more complete and even more enjoyable. The training sessions are designed for boys & girls from 9-17 yrs. 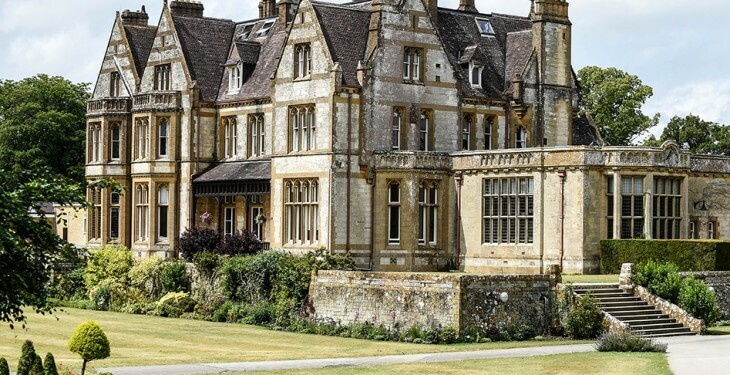 old and take place at four different localities in England: Clayesmore School, Oundle School, Seaford College and Worth School. Tennis + English Program: 15 hours per week of tennis + 15 hours of English classes. This program is perfect for young people who have never left their country and would like to live a new experience at an international camp this year. The camp´s organizers are an excellent team of professionals that have more than 30 years of experience, and they know how to give participants an incredible experience. During the first few days, they focus on helping participants adapt to their new surroundings and are like a family for those who are far from home. By the end of camp, participants will not only have enjoyed all the activities offered by this program, but they will have also left their comfort zone and adapted to a new environment, which helps them grow as people. Coaches from professional teams and tennis players of distinguished experience are responsible for designing the training program. On Mondays, the participants are placed into a training group. During each session (which usually lasts about 3 hours) students will improve their agility, technique, as well as increase their power and aerobic consistency. Athletes will be challenged to participate in tournaments with other students on campus according to their individual skill level. One of the strengths of this camp is that it allows the child to learn and improve their level of English, since all activities are taught in this target language, independent of the language classes that are also offered as reinforcement. The Head of Studies has carefully prepared a program that promotes foreign language learning in the classroom. The teacher selection process has been made based on their ability to encourage young learners and turn the English classes into a unique experience. The classes are interactive in order to develop the participants´ communication skills, which also helps them better understand their tennis lessons and encourages their learning. The students are divided into classes according to their English level. The lessons are taught in small groups and take place for three hours per day from Monday to Friday. For those who would like to participate, an oral exam is available to certify their spoken level of English. Summer is also meant to be enjoyed. This is why at Exportise, activities and excursions are organized each week and always under the proper supervision. During their free time, participants can go to the pool, watch television, play ping pong or access the internet. Recreational activities are organized each night so that the children can laugh and have a great time. These activities can include Olympic-style competitions, races, dancing, etc. During the weekend, staff members put together organized trips for participants to enjoy that can include visits to amusement parks or other cities in England. This camp takes place at four different locations in England: Seaford College, Oundle School, Clayesmore School & Worth. The coordinators at each location divide the male and female participants into separate shared rooms with 3-6 beds. There are also larger rooms that accommodate between 8-10 participants. This location is available for participants between the ages of 10-16 years old. It is a large college with the capacity to accommodate 180 students in shared rooms with 3-10 beds. The facilities at this location also include a music studio, tennis courts, soccer fields, hockey rink, a 9-hole golf course and a sports pavillion. In addition, there is an outdoor pool where participants can go for a swim on hot summer days. There are a variety of leisure rooms inside the residence where participants can relax, watch TV or play games during their free time. 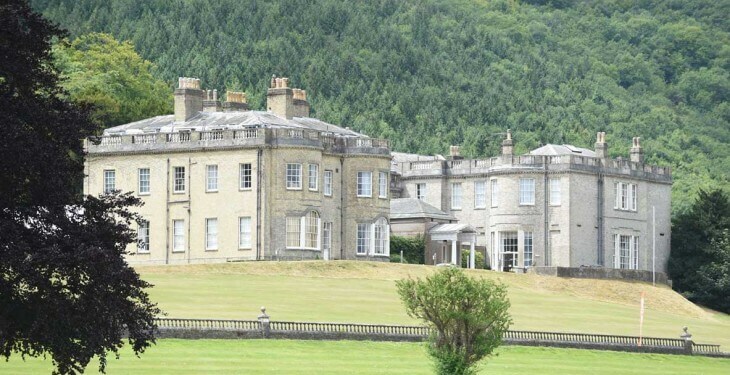 The venue at Clayesmore School is another option to choose from and is located in southwest England. It is the location that accepts the youngest male and female participants (from 9 years old). Like the other locations, it offers top quality & spacious facilities to ensure the comfort of the participants. It has tennis courts, soccer and rugby fields, a theater, a sports pavillion, as well as an indoor pool. The rooms are shared and there may be 3 to 10 participants in each. At this venue, there are a variety of other programs taking place in addition to tennis like soccer, rugby, vocal training, dance and equestrian programs. This diversity helps to create a wonderful multicultural atmosphere where participants can make new friends from other nationalities and cultures. Oundle School is located in the heart of the city of Oundle, close to Peterborough in Cambridgeshire. 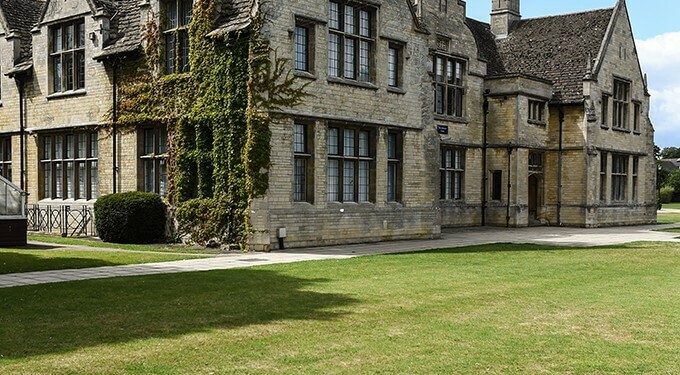 Oundle School is also an English college with expansive athletics fields and two sports pavillions. There are artificial turf fields with lights, two tennis courts and an indoor swimming pool. In addition to those participating in the tennis camp, there are also young people attending other activities such as soccer, basketball, dance, hockey or the equestrian program. All of the sports facilities are located within the college, which is an advantage for tennis camp participants since they do not have to travel to attend the training sessions. Like the other venues mentioned so far, this location has the capacity to accommodate 180 students per week. This camp is available to male & female participants between the ages of 11-17 years old. The venue at Worth is the most recent location added for this camp and has excellent facilities for participants to enjoy. Situated in Crawley, it is only 10 minutes from Gatwick Airport. This beautiful location is surrounded by many acres of green meadows and forests. It has shared rooms of 3 - 10 participants and its bathrooms are also shared. Among the sports facilities that are available, there are several soccer fields (one being artificial turf), a golf course, tennis courts, a sports pavilion, a theater, dance and music halls and a dance studio. It also has stables for the equestrian program, and it is the only venue where the rugby camp is held. This location has the capacity for 160 participants. Being a camp that is focused entirely on athletes in training, the meal times and menu provided to the students are controlled by nutrition experts. The participants will have breakfast, lunch and dinner in a large dining room that is organized cafeteria style. When a trip is scheduled, a picnic will be prepared for participants to take along with them. Experience and quality in teaching are some of the hallmarks of the Exportise team. The staff has been carefully selected for their professionalism, kindness, enthusiasm and academic qualifications. In addition, the center's management has verified that the monitors are qualified to work with and educate children. These courses are subject to a registration fee of 133€.